Posting this on behalf of a reader. Another example of Chase’s ineptness or downright uncaring attitude royally screwing a customer. If you got screwed by Chase in a bogus foreclosure, check this out. They might have to pay you for their mistakes. The story is so complex and twisted, I hardly know where to start. What should have been a simple mistake made by the mortgage company, Chase, to my payments caused a downward spiral which has lasted for years and led to much turmoil and grief as I find myself now unemployed, swimming in debt and living in a 2 bedroom apartment while my home sits abandoned with Chase completely unreachable, sending me conflicting mail, conflicting balances & completely unwilling to correct the situation? 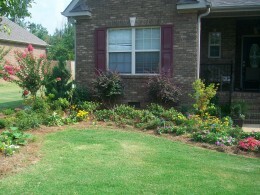 It all started several years ago in the beautiful Summer months. I am a single Mom of three fun and active girls, working a very demanding job in management in a Japanese Automobile company, making a fairly impressive salary. I struggled as any Mom would with affording extras; however, I made my mortgage payments and all other payments with a fair amount of ease and managed to add some enjoyment after the bills were paid. 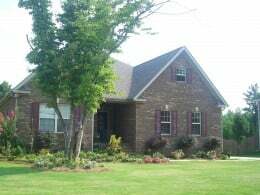 Just before the ending of my 15 year marriage, my ex-husband and I purchased this home at 146 Stongegate Circle. The home was an effort to save our marriage as we were both commuting and maintaining a much larger home and the three girls. In the divorce, I was awarded the home and would need to refinance if I could not sell. I did not necessarly plan to stay in the community due to my lack of emotional support in the community and the undesirable Lincoln School System. 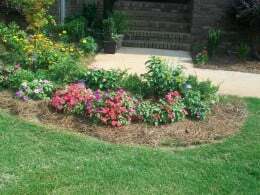 However, I happily made payments & poured some energy into landscaping and other improvements to the home for enjoyment and to improve the value in hopes of eventually selling. Eventually, I was forced to finance in my name by my ex-husband and all was well–or so I thought–I had a fixed-rate mortgage with my insurance included in the payment which I set up for automatic deduction from my bank account so as to never be late while managing my complex life. I never put any thought into insurance and continued to assume it was with the original insurer, Howell Hurt. I did receive a letter that the mortgage had been sold to Chase, but all would remain the same. One fine day in Alabama, I am managing my job as a Quality Engineer/Manager and I receive an email that my car insurance payment-which is automatically deducted-is declined due to insufficient funds. I am puzzled as I keep enough of a balance to know my bills will clears. Immediately I log on to my bank account to see if someone has stolen my identity and what I see first is the first of a series of months of torture from Chase. My house payment had been deducted, but it wasn’t the typical $1047.00. Instead, Chase had deducted $1355.00. Not too much of a difference this time, however as a single Mom, I am managing it closely. I decided not to panick because in my life I have learned ‘everything can be worked out–usually with a nice phone call– everything until now. I am going to walk you through the steps that led to my payment escalating to nearly $1500 dollars, harassing phone calls at work from collectors, yet noone could help resolve the issue, eventually leaving the home in fear of foreclosure, hostility at work leading to unemployment, rental home burning and I am now unemployed, homeless and Chase will not provide any relief– just continued phone calls to collect a debt I did not owe. The stress this has caused me is impossible to place into words. What happens when you call Chase? Here’s the process. Call the number for Chase. Auto system answers and request your account number. You enter you account number. The auto system tells you the current payment information; You are eventually given the opportunity to request to speak to a representative; Wait. A representative finally gets on the phone and it is difficult to understand them as they have a very strong accent. You begin to explain there is a problem with your account and the endless chain of transfers begin-each time placing you back through the system to re-enter your account number, hear the account information, representative; transfer. At some point your lunch break is over. I began to sneak off into conference rooms to get on the phone, taking lots of breaks and doing all I could to try to straighten this out. I was transferred to every department and met with the same repeated routine. Next month. Same drill. After three months of being overcharged and nobody can tell me why, I am starting to get behind on other bills. My insurance can’t be paid. My insurance on my vehicle is cancelled due to late payments. The bank financing my car receives notice and places a forced insurance on my vehicle, several hundred dollars a month. Received a ‘random’ audit from the state of Alabama on car insurance. Tried to explain and fax proof of insurance. Continue calling Chase every other day. People at work start staring at me while I’m on the phone. As a female manager, it is easy to become a target. Females in HR giving me dirty looks. I shrug it off. FINALLY. I speak with the mortgage company who sold my loan to Chase. They were so very apologetic this was happening to me. Turns out the local insurance company had a scandal and sold all it’s business to another insurance company. The information was somehow messed up and Chase was billing the wrong insurance company. Did not find insurance so placed a more expensive insurance which drained my escrow. I had no knowledge of this. Chase apologized and reimbursed me the overcharges. Next month…. payment up to $1455. This was not corrected until I moved out of the house. I moved out of the house? Yes. The demise continued to a point where the only hope I had of surviving was leaving the house and renting before foreclosure and then sue. Ok. So months continue until I decide the only way for me was to pay the amount I owed… not what there statements said (which changed every month on a fixed rate mortgage. I must’ve have spoken to every single representative in every single department at Chase. At the same time, the loan modification rage started. This seemed to be the ONLY department that would work with me. They were holding a workshop in Atlanta, Georgia for those struggling with their mortgage. I went. I took a day from work and headed to Atlanta to meet face to face with my enemy, Chase Mortgage. By the time this meeting occurred, I had been overpaying Chase for a year, took out 2 credit cards to continue the excess charges while they were working it out, stayed behind on other bills and felt completely trapped. At some point, I declared to Chase that I would STOP paying the amount they were charging and only pay what my payment was supposed to be. Therefore when I sent my 1100 dollar payment, they would hold it over til the next month and apply to the next payment and my mortgage was falling behind. The representative seemed to be a very nice man. He assured me he could take care of it. His idea was to modify the loan and start over. Great. I brought him most of the information he needed to the meeting and we exchanged emails. I explained I am ultra busy at work and I am being watched carefully. (My environment had continued to worsen at work; The HR dept. seemed determined to prove I was doing something besides working) I let him know I would have a tough time making copies and getting information. Now, every time I sent him something, he’d ask for something else. The process grew more complicated and I grew more frustrated. He was requesting I prove I had hardship. My only hardship was caused by Chase’s mistake. He continued to treat me as if he was doing me a favor and I’m holding up the process by not showing hardship. I continued to remind him I did not lose my job, I did not suffer a loss of income, that my hardship was Chase had made a mistake on my mortgage. It came to a point when I realized this modification process was not going to happen. I placed my home on the market and prepared for the worse. I knew I must sell it before I lost it. Well, then, guess what? Somehow this representative contacted my realtor.My realtor called and let me know, he thought they were starting foreclosure. This caused a strain with my realtor and myself as I assured him I had done my best to keep paying while Chase was over-charging. Suddenly the Chase representative became very rude and would not return my emails. I asked him to PLEASE assign me to a new representative. I never heard another word back from him. I did not know what to do. I kept getting phone calls from Chase,repeatedly on my work phone. I tried to tell them over and over that I had a rep I was working with. I spent way too much time on the phone with them. Co-workers began to give me disdainful looks at I hid in conference rooms for privacy. The worst happened when I spent too much time prior to going into work one am and an HR Manager began to record my time. I did not know at the time how much I was being watched. They actually asked a guard to log my time as I traveled between plants. She began to question associates who worked with me about what time I arrived and if I was on the phone. I filed a complaint as this was now harassment. I was stressed beyond words. I still had done nothing wrong. I paid my payments just fine until Chase made this mistake. Now, my car insurance premium was high, my mortgage was behind, my home wouldn’t sell, the representative wouldn’t return my emails, I now had credit card balances, feared foreclosure and now feared losing my job. All because I did nothing but attempt to pay my mortgage to keep a home for me and my three girls. Not knowing what to do, I figured if Chase would not modify and they were threatening foreclosure; it would be best to leave now and rent before they ruined my credit. I did. I left the home on the market and rented a farmhouse for me and my girls and told Chase I was tired of the struggle, just go ahead and foreclose. Now, I’m maintaining the Power Bill at the old home and the new. I continued to visit the home owned by Chase and paint and keep it up. Yet, they charged me a huge amount of money to winterize the home. WASHINGTON—Banks could be forced to pay as much as $125,000 per customer to compensate borrowers who were subject to foreclosure-processing errors. More than a year after finding widespread abuses in the industry, banking regulators unveiled a plan Thursday to compensate borrowers for a wide variety of errors, including starting foreclosure for a borrower who wasn’t in default, denying loan assistance in error, making a mistake on a loan modification and wrongfully foreclosing on a member of the military. 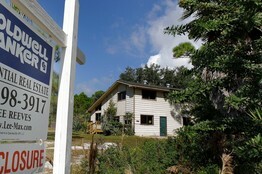 A foreclosed home on Pine Island in Lee County, Fla., in November 2010. Banks have set aside vast amounts of money for foreclosure-related liabilities, said banking analyst Nancy Bush at SNL Financial. “This would just be an additional drop in the bucket,” she said. Many borrowers with foreclosure errors may not see any money. Only about 194,000 of 4.4 million borrowers sent letters last year have requested a review of their cases to date. Separately, independent consultants are doing reviews of about 145,000 consumers’ files. The compensation plan is separate from a $25 billion foreclosure-abuse settlement that federal and state officials announced earlier this year. That settlement covered the nation’s five largest mortgage-servicing firms: Bank of America Corp., BAC +1.53% Wells Fargo WFC +1.45% & Co., J.P. Morgan Chase JPM +1.35% & Co., Citigroup Inc. C +0.57% and Ally Financial Inc.. The Financial Services Roundtable’s Housing Policy Council, which represents banks subject to the review, called the regulators’ action “an important step toward completion” of the foreclosure review process. The national servicing settlement includes $1.5 billion in cash payments, or up to $2,000 per borrower, for homeowners who went through foreclosure between September 2008 and December 2011. That was a different approach from bank regulators, who required banks to hire independent consultants who are undertaking a more detailed review of each consumer’s case. The biggest awards under the rules announced by the Federal Reserve and Office of the Comptroller of the Currency, would be $125,000 per consumer. Those awards would go to consumers who lost their home without defaulting on their mortgage. Banks also must pay that same fine if they violated a federal law preventing foreclosures on the military or foreclosed on a homeowner enrolled in a loan modification plan. Smaller awards would go to consumers who had other kinds of violations. Consumers whose applications for loan modifications were improperly denied are in line for up to $15,000. Those who were never solicited for loan help as required under federal programs are eligible for up to $1,000.